Best wash and wear shirt in the market. 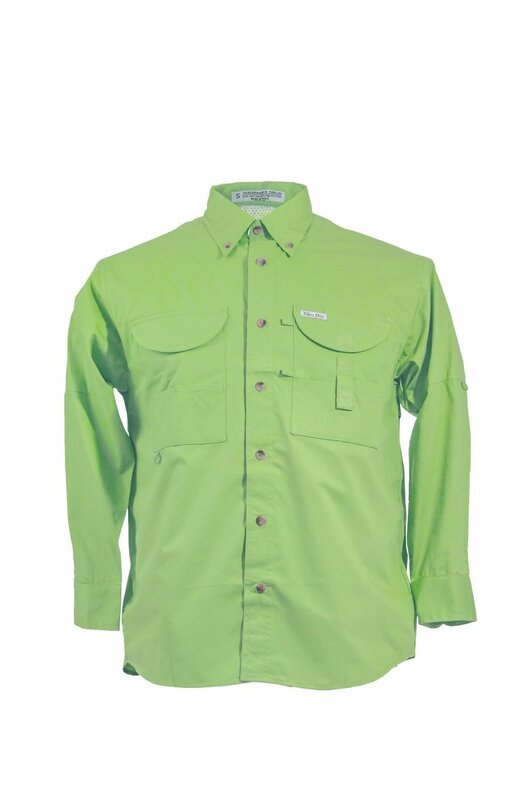 4.2 ounce, 52/48 cotton/poly, stain & wrinkle resistant lightweight performance fabric. Two extra large chest cargo pockets and two additional lower pockets with extra loops to carry all of your fishing accessories. Velcro mesh-lined vented cape allows air to circulate freely and enhances freedom of movement. Velcro closure for easy embroidery. Sleeve Button Tab, Full Cut for Extra Comfort and Wood-tone buttons.